The UConn or Connecticut Huskies is the name given to all the athletic teams fielded by the University of Connecticut. They have been called the Huskies ever since the university's name was changed in 1939. The university fields teams in all the major sports including football, basketball, hockey, soccer and baseball. The teams play in the AAC and NCAA. The total number of varsity teams fielded, including men's and women's is 20. The basketball teams are the most successful ones, as the men's team has won 4 national championships and the women's team has won 9 national championships. Both won their most recent championships in the 2014 season. The women's field hockey team also won the national championship in 2014 in addition to 4 other occasions. The men's soccer team has also won 4 national championships. Starting this year, most of the team's basketball games will be played at the XL Center in Hartford, Connecticut. While in the past they have always split games between the XL Center and their local Gampel Pavilion, the huge attendance numbers has forced them to move to this 17,000 capacity arena. Other arenas that the teams utilize include the Rentschler Field, JO Christian Field, Webster Bank Arena and Morrone Stadium. Considering their brilliant winning percentage last year and the fact they've won 2 national championships, this year is bound to be action packed. Make sure you get your UConn Huskies Hartford CT tickets and be a part of what is looking to be their best season yet. The average Uconn Huskies Hartford tickets at Hartford will cost you between $13 and $17, if you are looking for the cheapest seats then catch the event being held on 04/05/2019 for only $13. The average ticket will be at its highest of $17, on 03/05/2019. 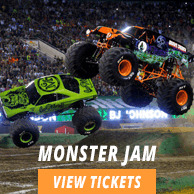 Minimum get in price is for Uconn Huskies Hartford tickets at Hartford is $8 for the event being held on 04/05/2019, there are certain dates that have a much higher get in price, for instance the cheapest seats on 03/05/2019, will set you back $14.